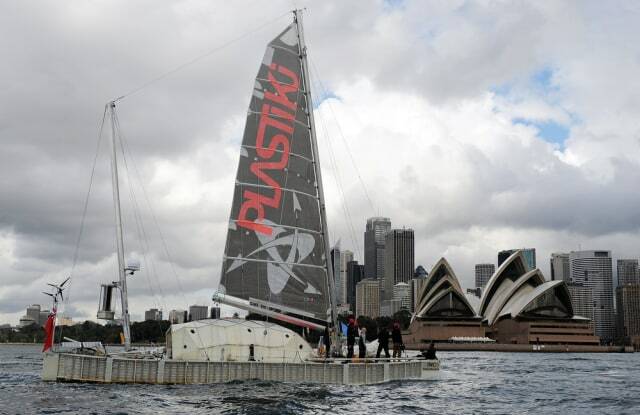 The Plastiki, kept afloat by 12,500 plastic bottles, completes her 8,000-nautical mile voyage from San Francisco as she passes the Sydney Opera House on Monday. Bottles stacked in rows make up the hull, and they are held together with organic glue made from cashew husks and sugarcane. Recycled aluminium irrigation pipe was used for the mast.